Due to Hurricane Irma, this event has been rescheduled. Join us for our first Wellness Bash of the semester. 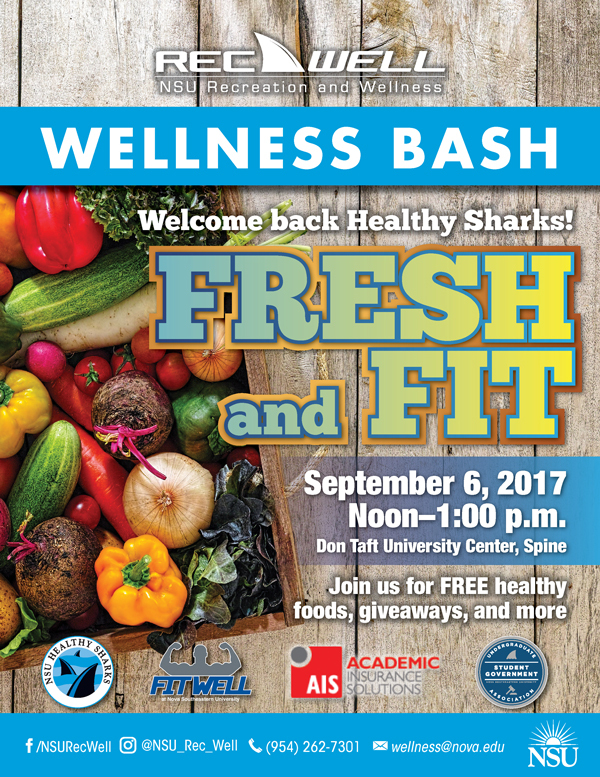 This event promotes ways to stay healthy and fit on campus. Students will also learn about all of the wellness programming for the fall 2017 semester. Free healthy food and giveaways will be provided. Free for NSU students only. For more information, please contact (954) 262-7301 or wellness@nova.edu.